Order your EMG 89 Active Guitar Humbucker Pickup from AMS and enjoy 0% Interest Payment Plans, Free Shipping, Free Extended Warranty & 45 Day Money Back Guarantee. 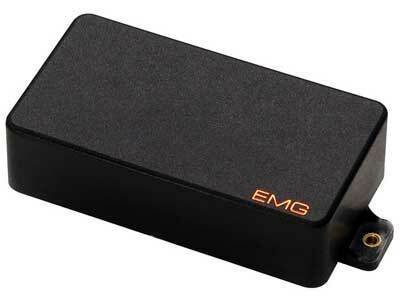 The EMG 89 pickup contains both single and dual-coil pickups, each with its own output. The single-coil mode is an Alnico loaded stacked EMG-SA. The dual-coil mode consists of two Alnico loaded coils opposite one another creating a pickup similar to the EMG-85. A push/pull volume or tone enables you to switch from the clarity of a single-coil to the fatness of a humbucking. Virtually noiseless in both modes.